WHO WILL BE AFRICAN KING? Okay, think 50 Cent vs Kanye or maybe Fat Joe vs 50 Cent..
whichever battle you envision, this one is brewing African Style…. This is so stupid. Why are they using rap/hip-hop artists as role models? Act like you have some sense and grow up. As if there isn’t enough violence going around. Why do we need it here? There’s plenty to go around. 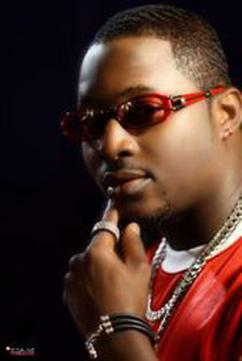 i don’t think olu maintain can diffited 2 face idibia. 2 face idibia remain africa queen 4 life, olu is just wasting is time. i will just advice him to keep off becouse is a small boy for 2 face side. is it becouse of the car that he just bult, who we feature him crazy, that hussa boy or na yoruba idon’t no. olum just keep off. why is this serpon giggs? he must be out of his mind…olu had the best song last year…. dont be tribalistic… have you heard 2face new album i guess you will accept the guy is losing grip…. No mind them you pass 2 face 100times who be 2face that mumu boy or is it because of kennis backing him UP all these while but you dey kampe. You be d man jo,any body else na cataphie. Olu n 2face r my favorite as long as they stay fly wit thier hits. men i dont think olu is a match for 2face,olu has not achieved any thing or is it b/c of kennis,talk of MI,FAZE,PSQUAE,DBANJ,I NO FANCY OLU ANY DAY,MAKE E GO WITH YAHOOZEE AND TOMATO,THINK OF TRUE LOVE,AFRICAN QUEEN,FLEX,IF LOVE IS A CRIME.MAK ONA NO DEY CARRY COMPARE PEOPLE BECAUSE ALL OF THEM DEY ENTER STUDIO. Many of people talk about this topic but you wrote down really true words. everybody knows that tuface has made africa proud,he is the king and nobody should contest,unless u won kpai b4 u die.a word is enough 4d wise.